With over 20 years of beloved and essential releases, few bands have been as important to the emo scene or have maintained as much breakout, immeasurable influence as Jimmy Eat World, who first rose to widespread recognition in the early ’00s (but made a big impact in the underground several years prior). While 1999’s Clarity, 2001’s Bleed American, and 2004’s Futures remain their best-known, fan-favorite, and most enduring records, all cemented as legitimate modern classics, the band have continued to produce some stellar more recent work over the last decade, hitting a particularly cool stride with 2014’s criminally underrated Damage, and last year’s poppy and well-received Integrity Blues. Continuing an extensive world tour in support of their most recent release, the alt rock and emo trailblazers make a long overdue return to Nashville, their first stop in Music City in five years, this Saturday, May 12 at The Ryman Auditorium. The band have only made it town a handful of times over the years, and never at The Ryman, and with their live show sounding better than ever these days, we can’t think of a more perfect spot than the Mother Church to see them in action. As of writing, only a handful of tickets are still available, and the show is almost guaranteed to sell out in advance, so we’d recommend grabbing your immediately if you’ve been dragging your feet. Sweetening the deal, emo revivalist stalwarts The Hotelier have been tapped as direct support. Since rising to critical acclaim with 2014 sophomore effort Home, Like Noplace Is There, and their near-perfect 2016 followup Goodness, the band, like Jimmy, have been celebrated for their earnest, accessible fusion of indie and emo, beloved by both the punk community and the discerning trendy music press. And Atlanta indie/alt rock up and comers Microwave, who we’ve raved about many times in the past, will kick things off, bringing their raw, aggressive, and resonant sound to, perhaps, the most punk supporting bill Jimmy Eat World have put together in years. We say it often, but trust us, you don’t want to be late. 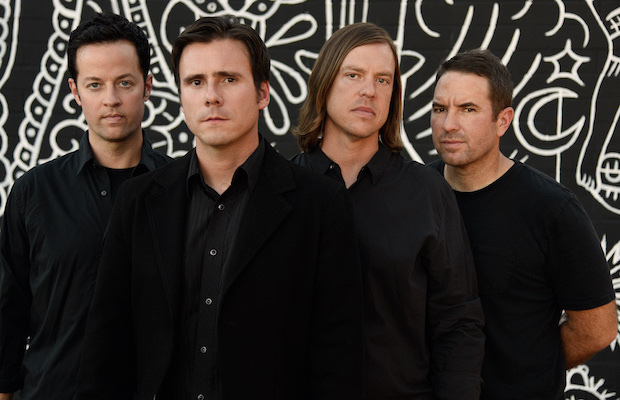 Jimmy Eat World, The Hotelier, and Microwave will perform Saturday, May 12 at The Ryman Auditorium. The show is all ages, begins at 8 p.m., and tickets are available to purchase for $29.50-39.50.